JBoss Web Server is an enterprise ready web server designed for medium and large applications, based on Tomcat. 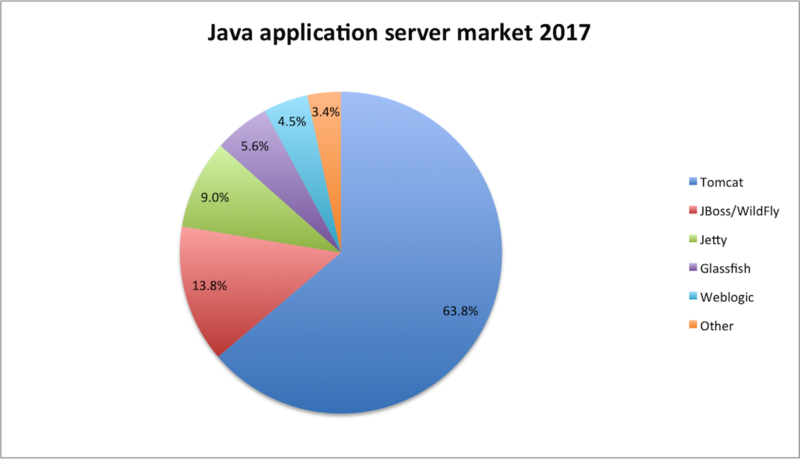 JBoss Web Server provides organisations with a single deployment platform for Java Server Pages (JSP) and Java Servlet technologies, PHP, and CGI. It uses a genuine high performance hybrid technology that incorporates the best of the most recent OS technologies for processing high volume data, while keeping all the reference Java specifications. It supports both in and out of the process execution of CGI and PHP scripts. The hybrid technology model offers the best from threading and event processing models, and that makes the JBoss Web Server one of the fastest and most scalable web servers in the market. After setting up the java we move to JBoss web server. On a server machine create a jboss user and apply that user's privileges. and our JBoss web server is working.